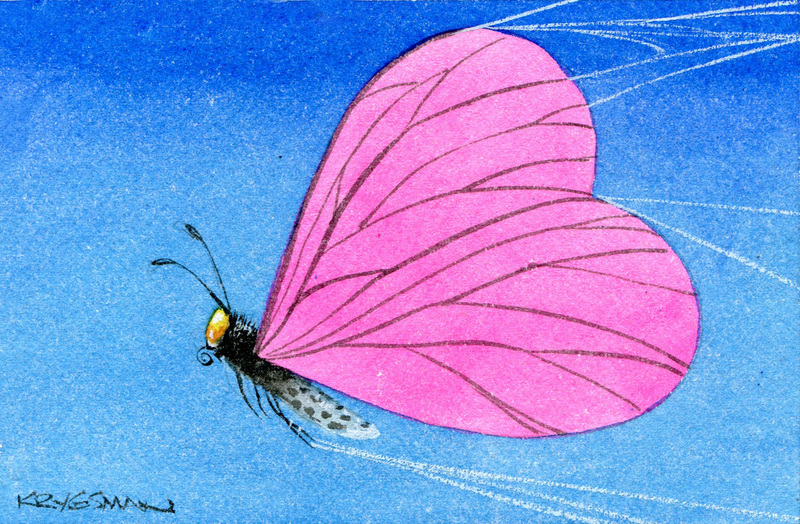 Butterfly with heart shaped wings breaking spider web. I have spiders on my ceiling that I believe have the right to live there. Every now and again a butterfly comes in through my open doors and gets caught in a web. The question is always on my mind: because the butterfly is beautiful I want to save it. But won’t the spiders who wait for food, and put so much effort into their webs, starve?